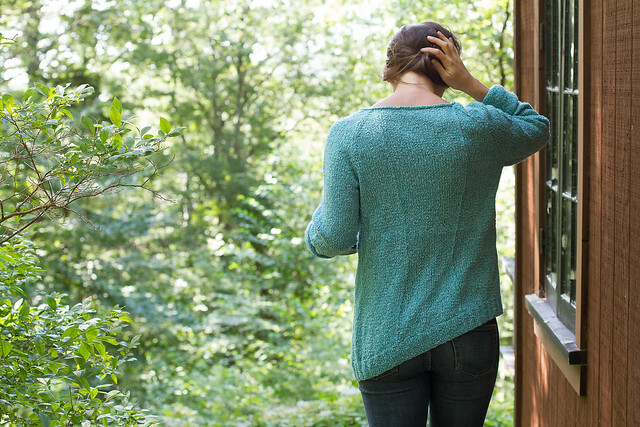 Harrisville Designs’ Fall collection is out, and I have two sweater patterns in it! Check out the lookbook here. 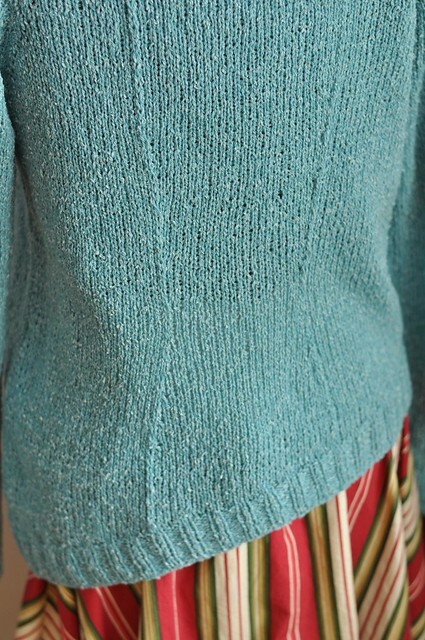 For my second sweater with Harrisville, I designed a simple pullover with an asymmetrical hem, V-neck, and long sleeves. Official blurb: The Grantham Pullover is a flattering sweater featuring an asymmetrical hem and simple V-neck. 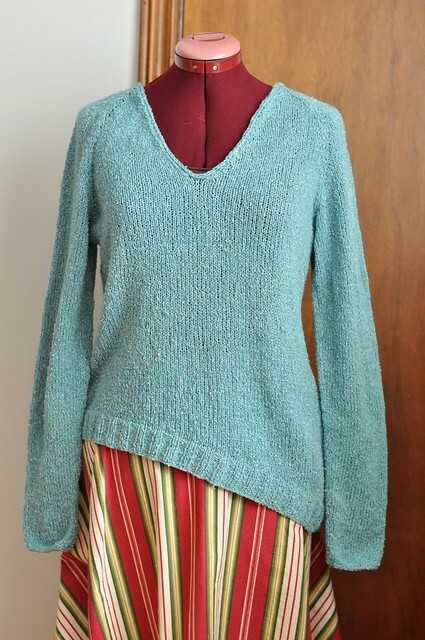 The back is worked with slipped stitches that highlight the subtle darted waist shaping, and the long sleeves begin with an I-cord cast on that is echoed in the attached I-cord neck edging. Harrisville’s Silk & Wool is light and soft, with a fun nubbly texture. Grantham is knit in pieces and seamed. I wish I was in the woods at a beautiful cabin like this one right now! Originally, I was going to just have the front be slanted and the back hem straight across, but that evolved to have both the front and back be shaped. The Silk & Wool is really nice and light, perfect if you overheat a lot like me! Here it is on my dressform. 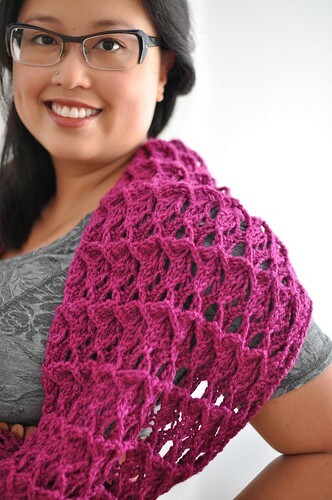 I love slipped stitch darted shaping. Queue and fave on Ravelry.